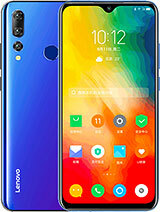 AnonD-239179, 28 Feb 2014Overall, this is a good phone but the specification maybe wrong, would suggest people to pay a... moreActually, you can access Developer options simply by clicking continuously the Firmware version under the Settings>>About Phone tab. Regarding the internal storage, this quite normal with all manufacturers. My Xperia SP has 5.8GB availble memory, even though the specs say 8GB internal memory. Samsung S4 Mini only has 4.7GB, which is the WORST phone ever with bloatware! 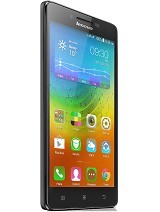 Luckily, Lenovo S930 has the option to install apps directly to SD card so internal memory becomes irrelevant for me. 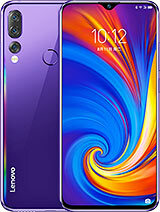 AnonD-239179, 28 Feb 2014Overall, this is a good phone but the specification maybe wrong, would suggest people to pay a... moreInternal storage is indeed 8gb. But user available storage is smaller. A portion of the said 8gb internal memory is occupied by the system. Manufacturers should start using the term "user available storage" instead of just "internal storage". Siva, 01 Mar 2014I just bought a Lenovo S930 AP set. Just been a full 24hrs, but the entire system is in chines... moreThat is normal if the version that was shipped to you was from China. 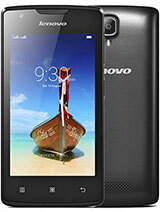 I just bought a Lenovo S930 AP set. Just been a full 24hrs, but the entire system is in chinese, and even though I chose my language as English, all of the apps and others are in Chinese plus the entire system is under some Chinese system, not as per what other android using phones are. There is no Google store installed and even my touch keypad is in a form of a China-phone. I contacted the shop from where I bought and the guy told me the english software is not uodated yet and asked me to come by next week. Just wanted to know, is it normal to have Chinese phone system in a brand new phone? I just don't want my money to go waste as I really liked the phone. Interested in using this hp..big screen...hope it is good phone for me for facebook..browsing...youtube and watching video.. 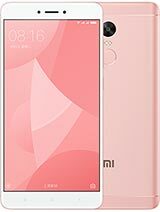 Overall, this is a good phone but the specification maybe wrong, would suggest people to pay attention at storage capacity, GSM spec stat its 8gb but ended up less than that. If you buy phone for Youtube, this is definitely not your choice, youtube is laggy. 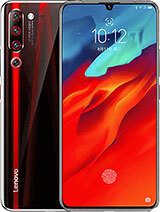 But performance wise is consider better than lower ranked phone if you prefer a budget line big screen phone, my advise is not to view video with this phone. Without access to developer options is definitely a con, as there are use who prefer to kill all task running on background. Touch screen wise is consider at standard, some laggy when you drag the console from top to bottom. User may had to perform that action fast so they couldn't feel the lag. The music player, obtain free access to download music is a great idea for user, giving us alternative options to download music for free instead of buying. Well, i personally haven't try that. Camera wise is acceptable, picture is automatically adjust to maximum quality. In my standpoint, this is superb. Music output, the built in software, DOLBY is enhancing music output at maximum quality. Would recommend that so much, and if you want to boost your music experience. Make sure you buy good handsfree like beats or razer hammerhead. Actually the price that is about 700+,it is the ap set...Im also got the ap set,because its just the same as the original.just take good care of the device,bcause,ap set the warranty is cover only by the shop where you purchased it,meanwhile the original,the warranty is covered by any Lenovo service centre. I have been to the shop and check this phone, on the list on gsmarena battry non removeable but on the other shop I have checked and the battry is removeable and price only MYR 745.00.
to me it is a value for money smartphone..no qualms on the phone itself but my gripes is on magicplus. any English version? anyone knows? CivicPong, 27 Feb 2014Why s930 without the "developer options "? I can use it from A850 easily. Please tel... morePress the build number many times, still cannot. emmmm... i don know how to help you already. Why s930 without the "developer options "? I can use it from A850 easily. Please tell me the problem. Bought mine today for RM745. Why my phone shows the screen is 1280×1920 ? But gsmarena shows 720x1280 ? 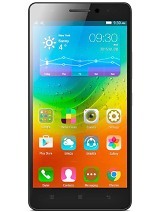 so should i buy this phone? suggestion anyone? Have bought it..it's a good one..
-Led notification just for missed call n sms..not for bbm,whatsapp etc..
-more than 300ppi screen might be better for it,cos the video playback looks little jaggies..
Found the video recording in HD very grainy. It is happened to your unit too? Or S930 camera lens are "rubbish" for HD recording? Najib1312, 20 Feb 2014U can make ur sd card as the default installation storage so all memory problems r solved.Is that we need to root the phone if want to make sd card as default? How to root s920? I recently purchased the S930 in Dubai. Then, when i came back to Argentina, i noticed that the 3G frecuency is only 2100, and in Argentina we use 850/1900. is there anything to do or i will never use 3G with this phone...?